As Ludwig Mies van der Rohe proclaimed: „Please do not confuse the simple with the simplistic", he characterized the formal principle of the label bergnerschmidt. The Designers Lily Bergner and Elisabeth Schmidt studied fashion design at the University of applied Science in Berlin. 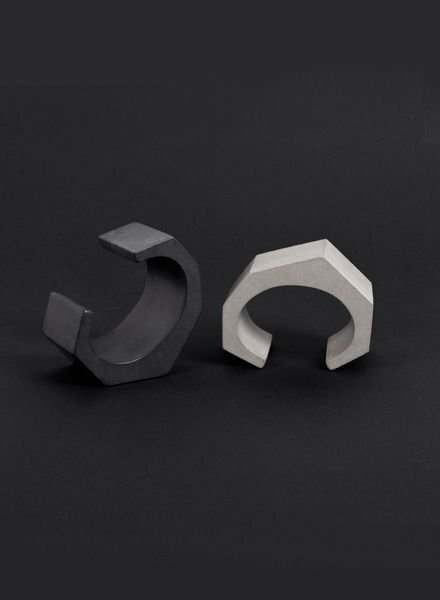 They graduated in 2009, founded their own label that same year and create concrete jewellery since then in their studio in Berlin Mitte. Bergnerschmidt design takes its inspiration from Bauhaus and has been conceived on the basis of its maxim “less is more”. Concrete stands for this clean and cool esthetics and therefore becomes the principle of their unique design. 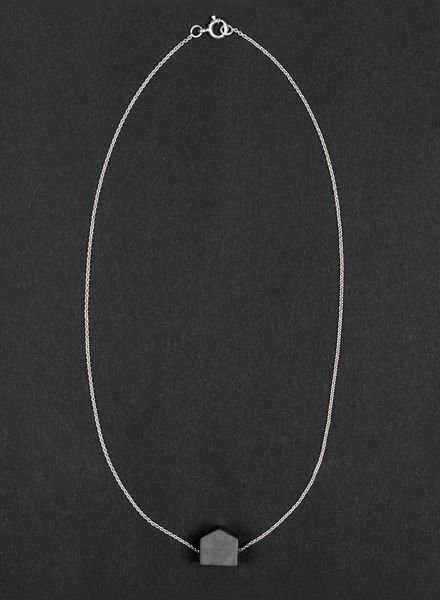 Bergnerschmidt generates experimental but wearable accessories which combines purist and constructive expression with subtle femininity. The fascinating geometry of things is a recurring element in their works. Since that subject has become the formal principle in every collection, Bergnerschmidt simply develops timeless design. Concrete is different of what one thinks. „It depends on what you make of it.“, the concrete industry knows that for long and advertises its material with this slogan. The two designers also think, that the possibilities of concrete design did not reach the limit yet. Towards the cliché – concrete is cold, hard and heavy – they present the material of from another side. 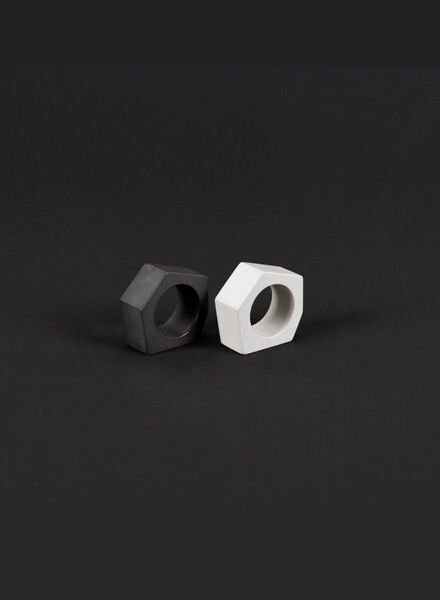 Their concreted jewellery is delicate, smooth and light. It breathes and changes with the person who wears it. 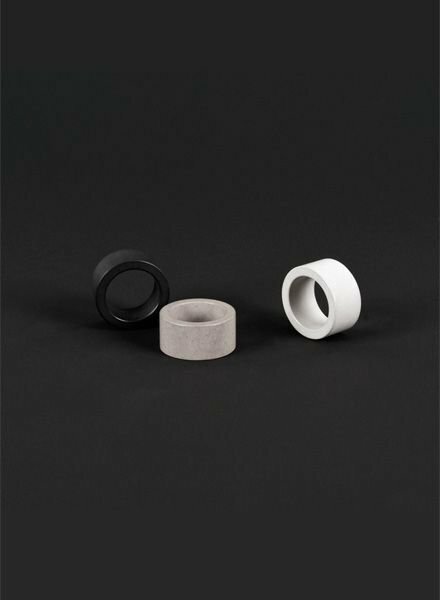 Concrete jewellery as well is different from what you might think.